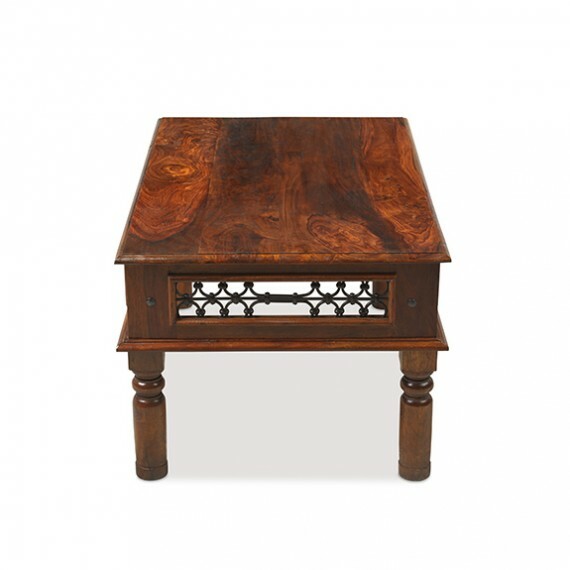 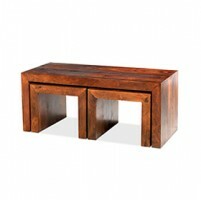 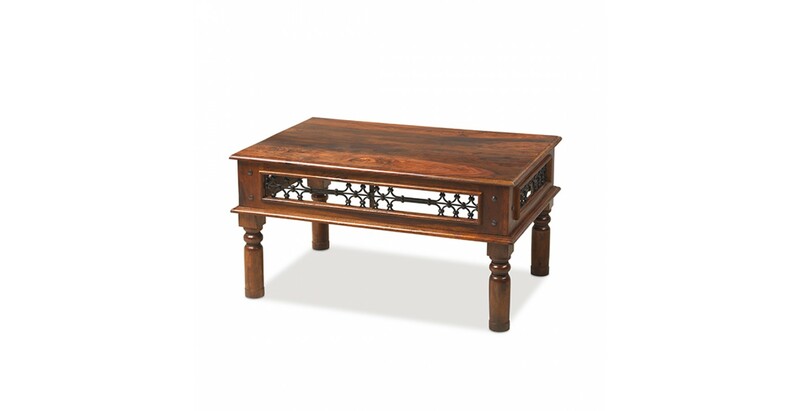 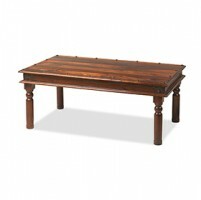 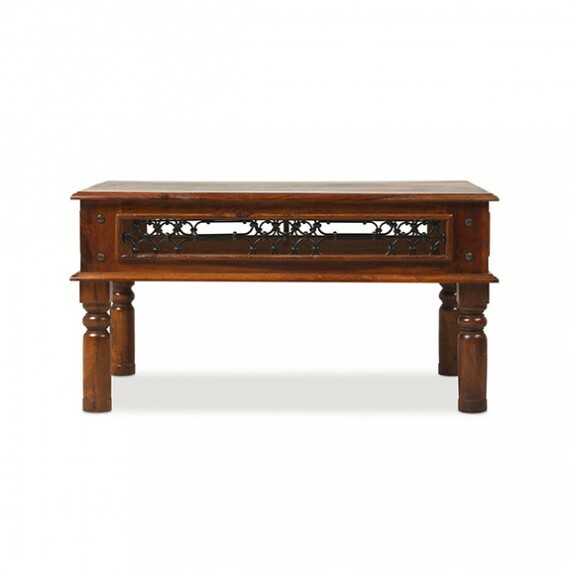 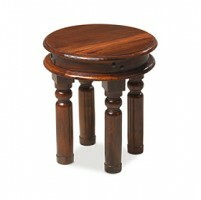 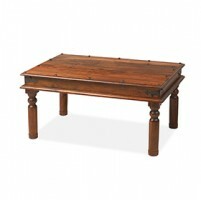 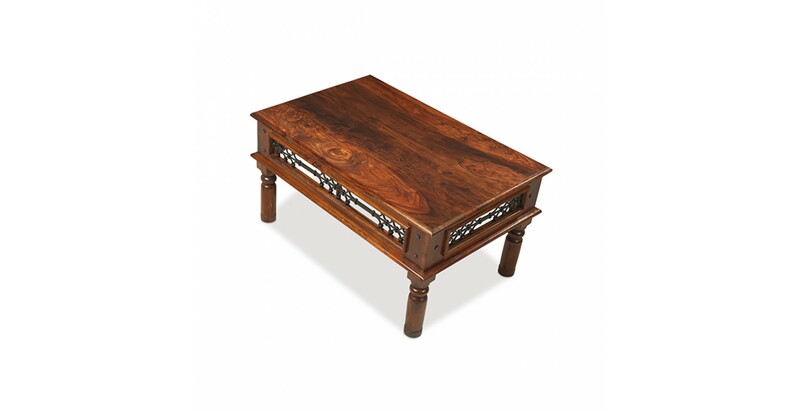 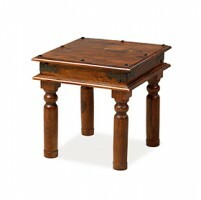 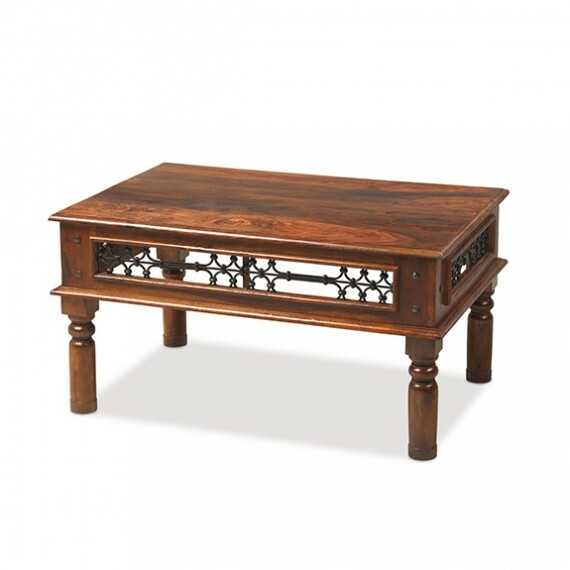 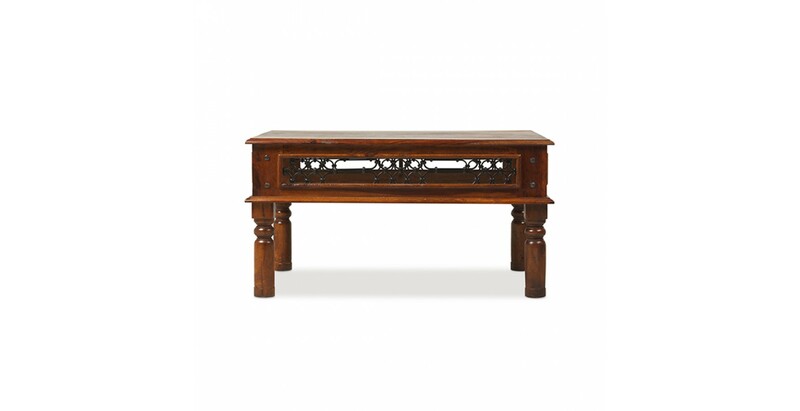 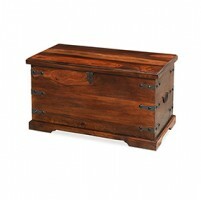 Crafted in India by skilled artisans, this colonial-inspired table has been made from sheesham wood and adorned with wrought iron portcullis inserts and iron studs on the corners. 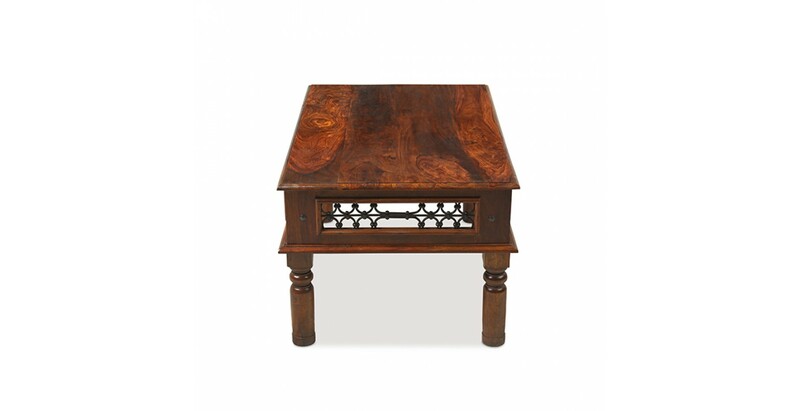 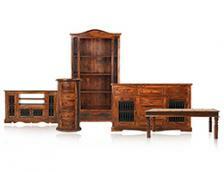 With elegantly turned legs and a Wax Lacquer Finish that brings out the variations in its rich, dark tones, it will be at home in a range of decorating schemes either on its own or with other pieces from the range. 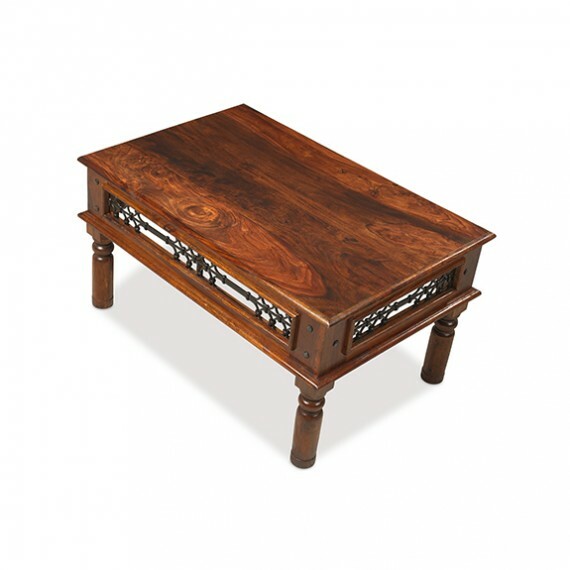 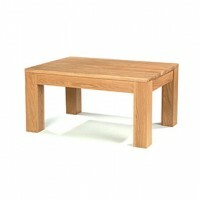 And of course, it almost goes without saying that it will make the perfect spot for your evening tipple or some artfully arranged coffee table books.